Certain Croatian revisionists, in their ongoing attempt to deny the millennial Latinity and Italianity of Dalmatia in general, and Ragusa in particular, have constructed a new anti-historical argument. 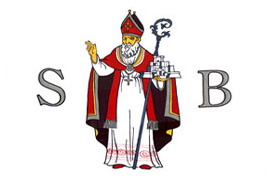 The argument is as follows: since the 10th century the patron saint of the city and former republic of Ragusa (today called ‘Dubrovnik’) is St. Blaise, who is also featured on the Ragusan flag since 1272, but the Italians do not – and never have – venerated St. Blaise in Italy, therefore Ragusa can not be regarded as historically Italian. Obviously this is a very frivolous and circumstantial argument, because whether Italians from the peninsula venerate St. Blaise or not would not definitively prove one way or the other the Italianity (or supposed lack thereof) of Ragusa, but it is nevertheless a very incorrect and fallacious argument, because St. Blaise is in fact one of the most widely-venerated saints in Italy, where he is very well-known as San Biagio. Every year on February 3 the Festa di San Biagio (Feast of St. Blaise) is celebrated all over Italy. The cult of St. Blaise existed in Italy amongst the Italians even before it existed amongst the South Slavs, and at least one city in Italy invoked St. Blaise as a patron more than two centuries before he became the patron and symbol of Ragusa in circa 948 AD. In the year 732 AD a ship filled with refugees fleeing the iconoclastic persecution of the Byzantine emperor Leo III the Isaurian arrived in the Italian city of Maratea in Basilicata with the remains of St. Blaise. From that moment St. Blaise became the patron saint of the city, and his relics can still be found in the Basilica di San Biagio in Maratea to this day. After the arrival of his relics the local mountain was also named Monte San Biagio in his honour. At this same time, however, in the middle of the 8th century, there is no record of a cult of St. Blaise amongst the Croats, or any other south slavic peoples. The legend of St. Blaise can be found in the famous 13th-century work Legenda Aurea (better known in English as the Golden Legend), written by the beatified Italian Jacopo da Varazze, archbishop of Genoa. A life of the saint was also published in 1637 by the Italian writer Camillo Tutini. Many Italian works of sacred art can be found which depict and honour St. Blaise, for example the 16th century Altar of St. Blaise in the Pisa Cathedral by Pandolfo Fancelli. The Reliquiario di san Biagio, a 16th century reproduction of the arm of St. Blaise, can be found in the Chiesa di San Lorenzo in Brescia. The Church of St. Blaise, one of the most important churches in Ragusa, was constructed in 1715 by the Italian sculptor and architect Marino Gropelli. The Cathedral of Ragusa, constructed by numerous Italian architects, notably contains a statue of St. Blaise, in addition to the alleged leg and skull of the saint. In many places throughout Italy, breads and other types of food are dedicated to St. Blaise. In Sicily this bread is known as cannaruzzeddi di San Brasi. In Milan, where St. Blaise is also very popular, the bread is known as panettoni di San Biagio. At Lanzara, in Campania, a popular tradition is to make a dish known as polpetta di San Biagio. In the province of Mantova, in Lombardy, the local cuisine includes a cake known as torta di San Biagio (Cake of St. Blaise). In Sicily the comune of Comiso honours St. Blaise with the Inno a San Biagio (Hymn to St. Blaise) every year. Nearly two dozen churches in Italy claim to possess and venerate the relics of St. Blaise. More than 50 churches, chapels and basilicas in Italy are dedicated to St. Blaise. More than 65 Italian names are derived from the saint's Latin name, including the surnames Biagi, Biagioli, De Blasio, Di Biase and Di Biasi. Nearly 30 comunes, localities and villages in Italy are named in honour of St. Blaise, including San Biagio della Cima (in Liguria), San Biagio di Callalta (in Veneto) and San Biagio Platani (in Sicily). More than 130 localities in Italy invoke St. Blaise as a patron saint, in addition to the cities of Napoli, Avellino and Aversa. 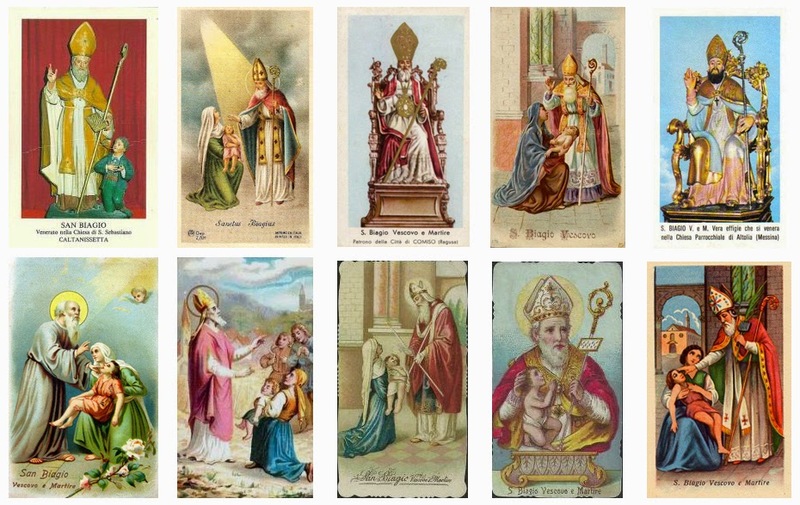 Many more similar examples can be given showing the immense popularity and long Italian history of venerating St. Blaise. If veneration of St. Blaise is to be understood as a sign or characteristic of historical connection to the city and former republic of Ragusa – as some Croats insist – then Italians certainly meet that criteria.